Details regarding Captain America: The Winter Soldier's post-credits scene has allegedly been leaked and two never-before-seen characters will make an appearance. Earlier in the week, Marvel unleashed an explosive new trailer for Captain America: The Winter Soldier; but now, we know details that are set to happen after the film ends. According to LaineyGossip, who allegedly managed to watch an early screening of the flick, The Winter Soldier's post-credits scene will introduce two major characters in The Avengers universe. Needless to say, we're delving into spoiler territory here, so keep that in mind before reading the info below. Obviously, things like these should be taken as a rumor until we see it for ourselves. But considering the writer describes the film's plot in detail -- a little too much, I might add -- odds are this is the real deal. This is quite a cheeky move on Marvel's part given that Fox's X-Men: Days of Future Past will also feature Quicksilver played by Evan Peters (America Horror Story). 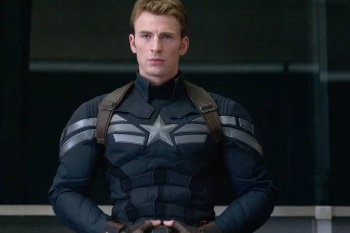 Captain America: The Winter Soldier hits theaters on April 4, 2014 in North America.